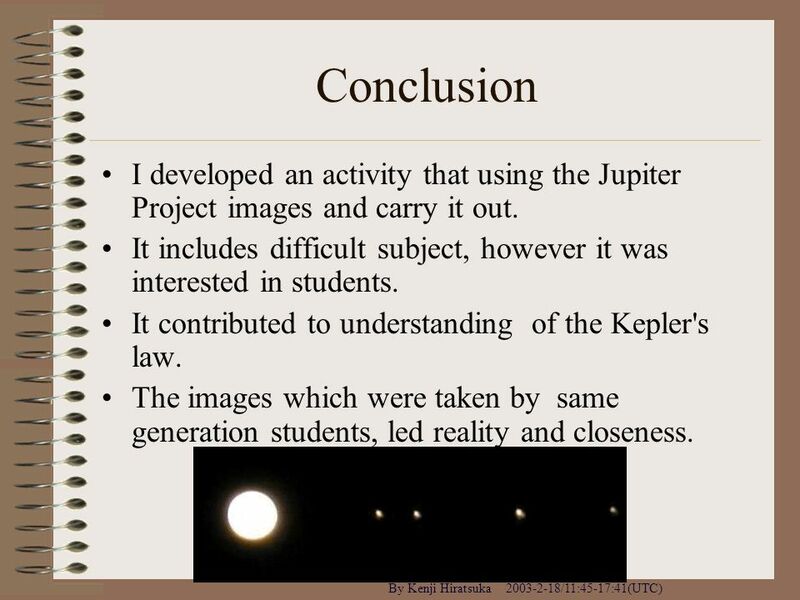 An Activity using Images of the Jupiter Project Naoki Matsumoto Keio Senior High School and JAHOU,HOU members. 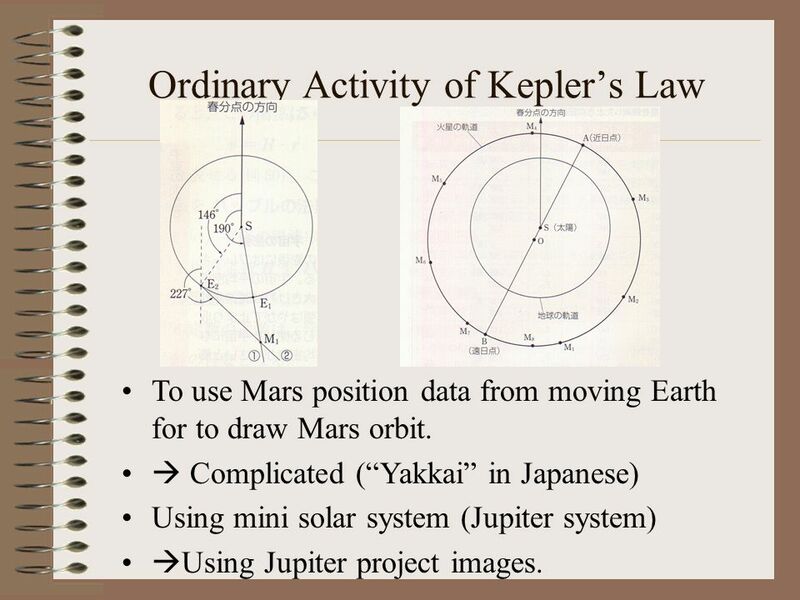 2 Ordinary Activity of Keplers Law To use Mars position data from moving Earth for to draw Mars orbit. 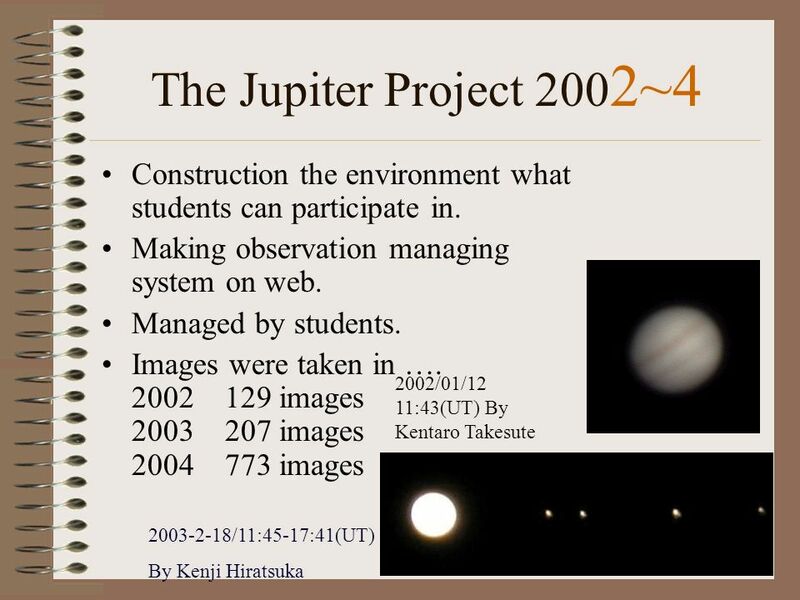 Complicated (Yakkai in Japanese) Using mini solar system (Jupiter system) Using Jupiter project images. 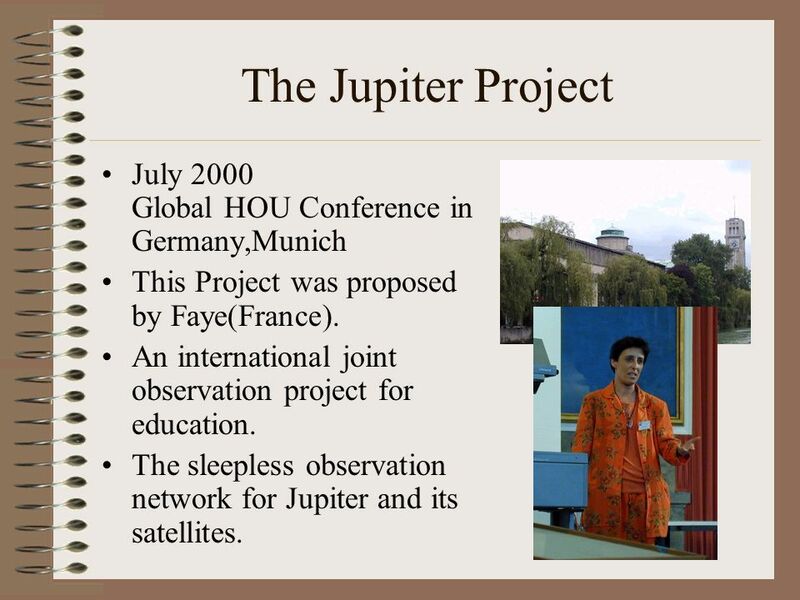 3 The Jupiter Project July 2000 Global HOU Conference in Germany,Munich This Project was proposed by Faye(France). 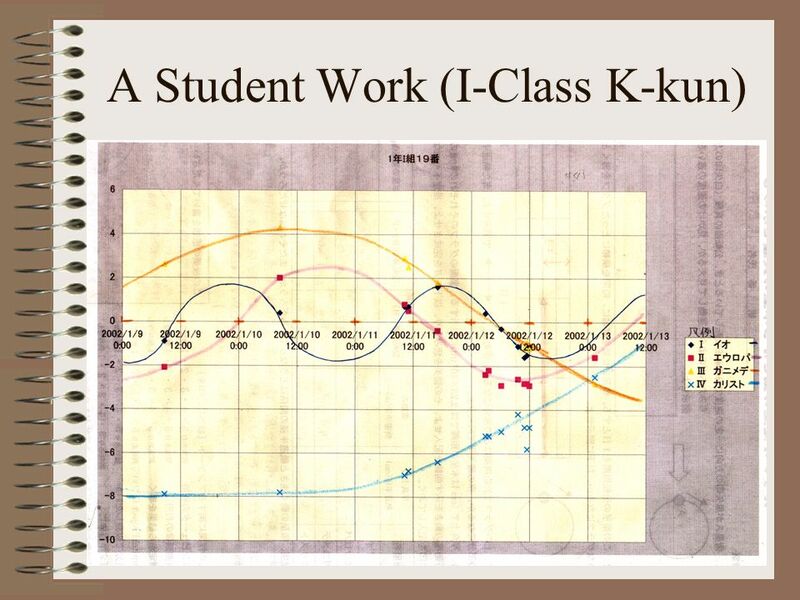 An international joint observation project for education. 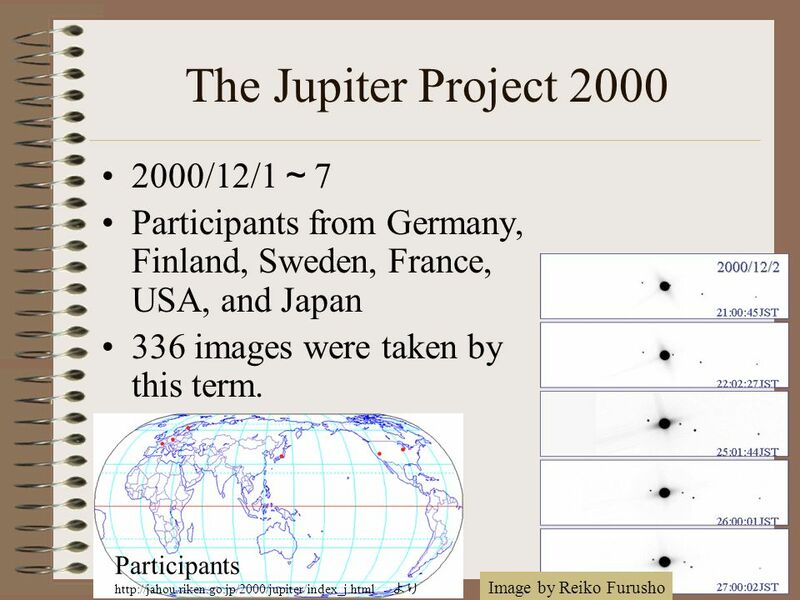 The sleepless observation network for Jupiter and its satellites. 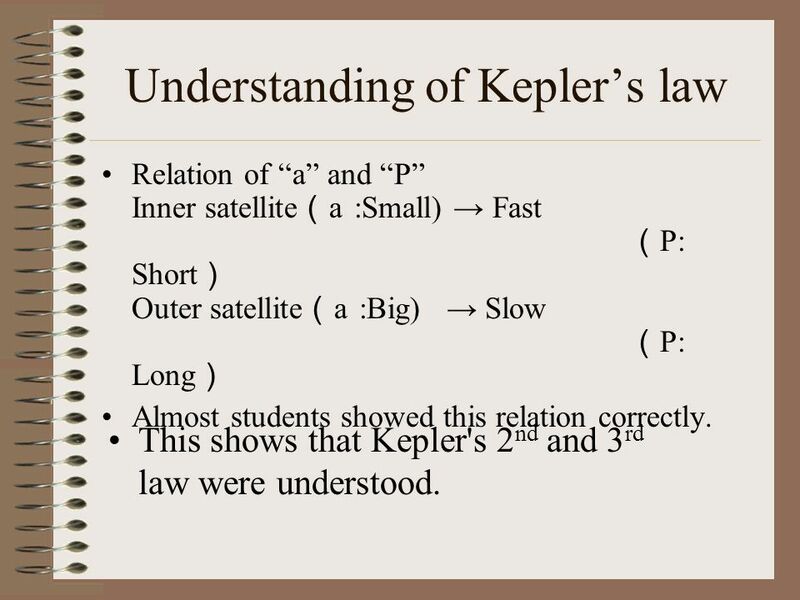 16 Understanding of Keplers law Relation of a and P Inner satellite a :Small) Fast P: Short Outer satellite a :Big) Slow P: Long Almost students showed this relation correctly. 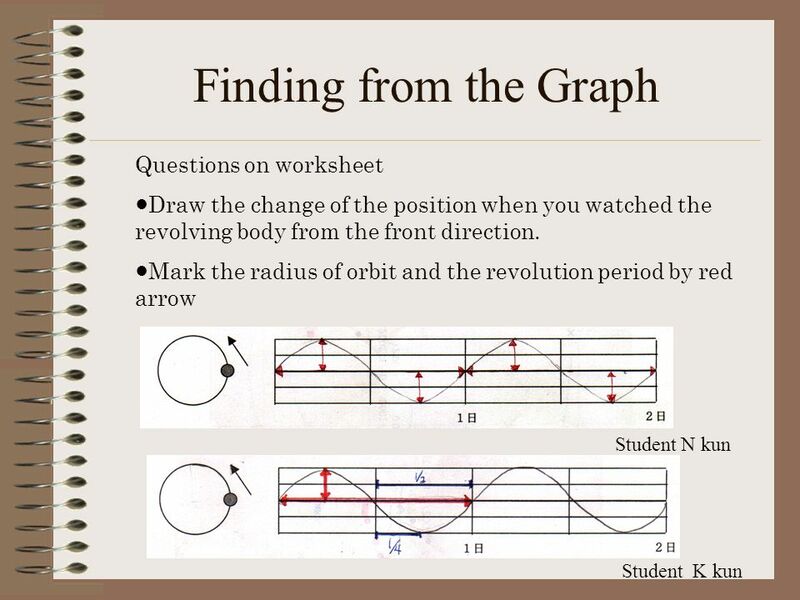 This shows that Kepler's 2 nd and 3 rd law were understood. 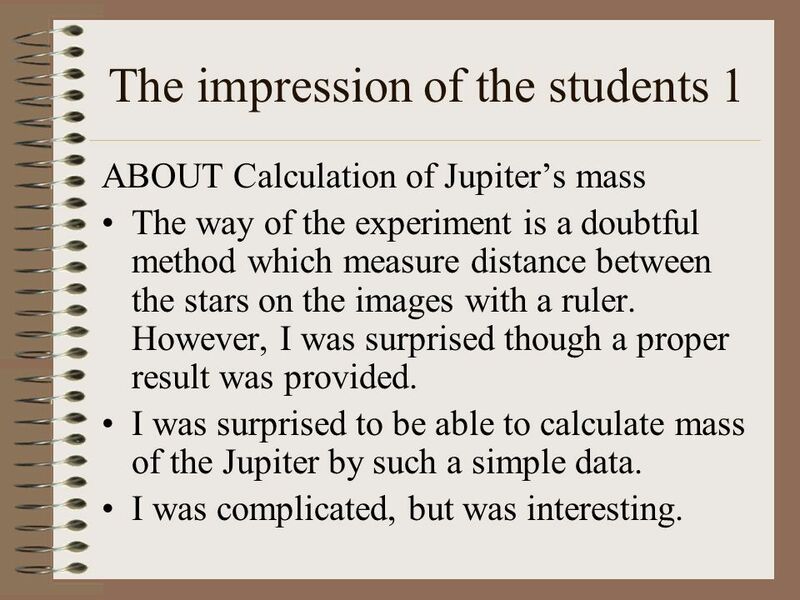 17 The impression of the students 1 ABOUT Calculation of Jupiters mass The way of the experiment is a doubtful method which measure distance between the stars on the images with a ruler. 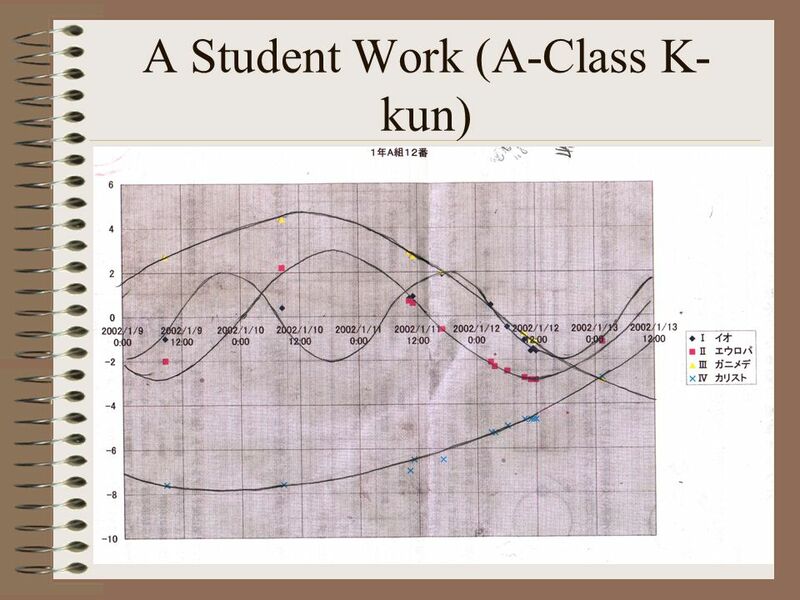 However, I was surprised though a proper result was provided. 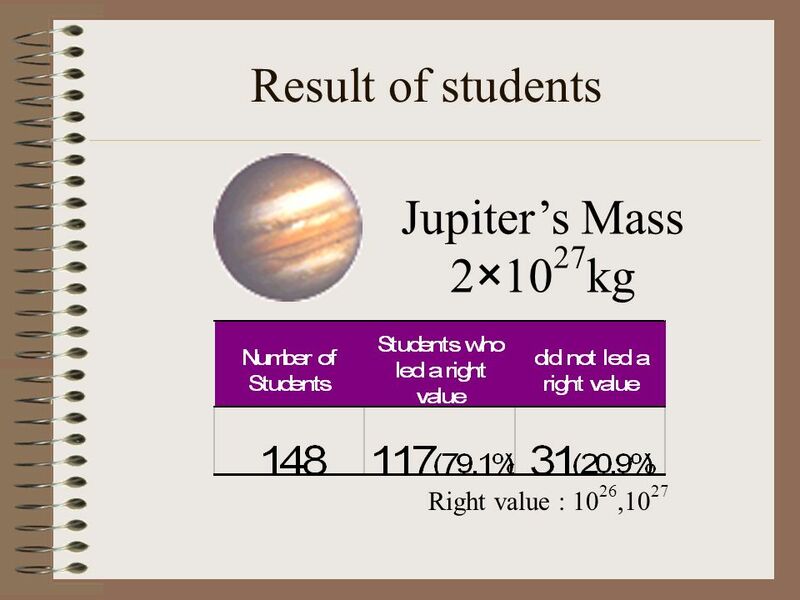 I was surprised to be able to calculate mass of the Jupiter by such a simple data. I was complicated, but was interesting. 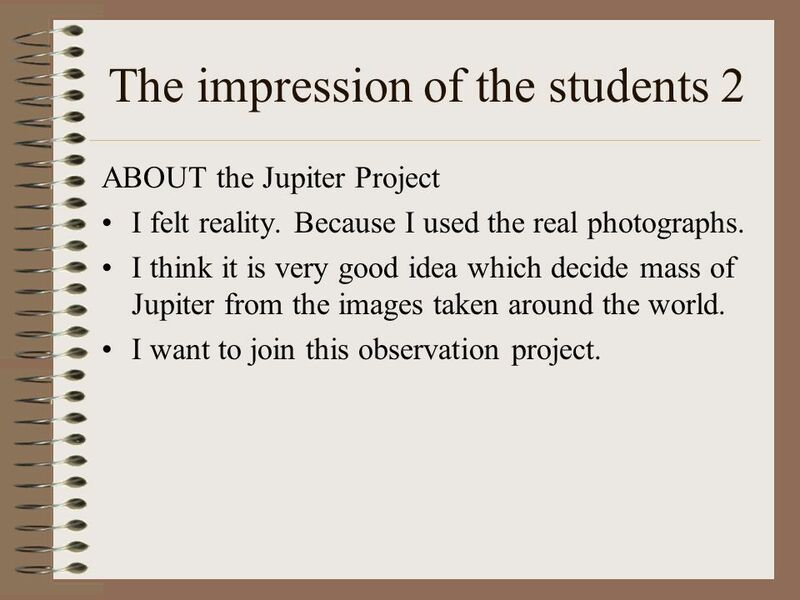 18 The impression of the students 2 ABOUT the Jupiter Project I felt reality. Because I used the real photographs. 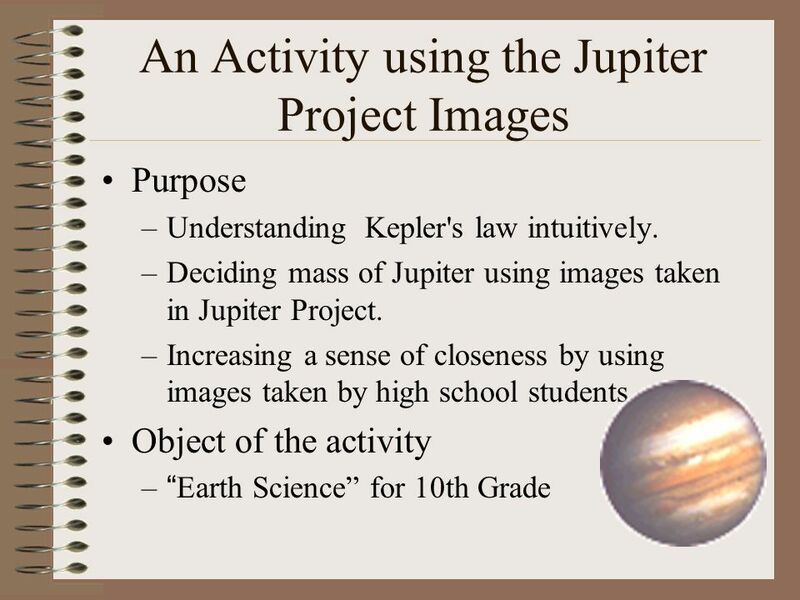 I think it is very good idea which decide mass of Jupiter from the images taken around the world. 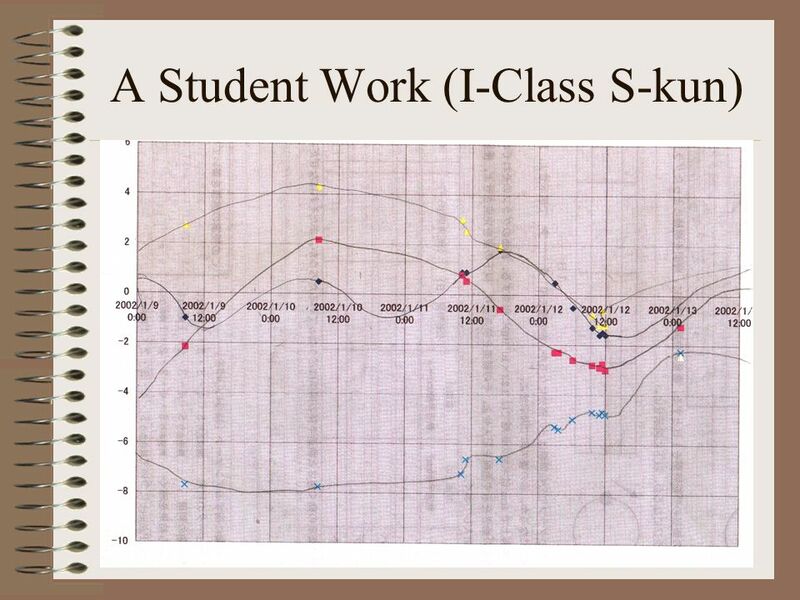 I want to join this observation project. 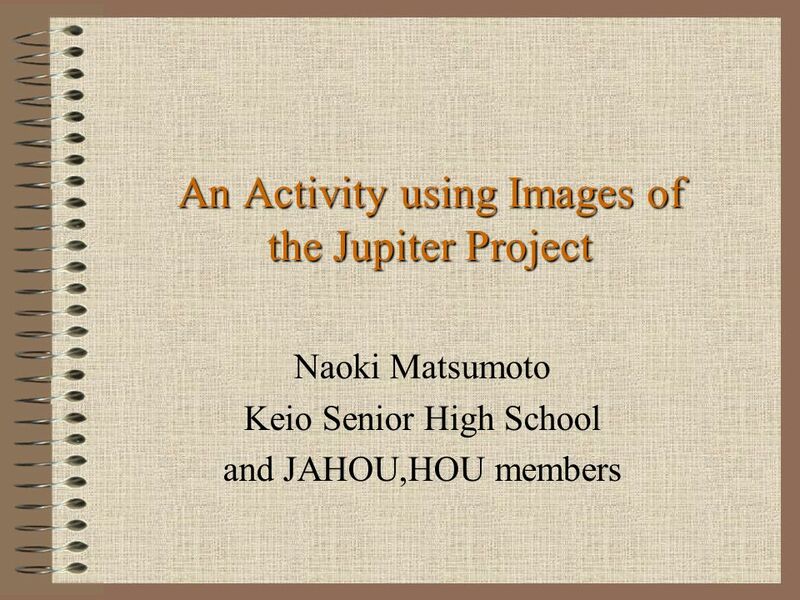 Download ppt "An Activity using Images of the Jupiter Project Naoki Matsumoto Keio Senior High School and JAHOU,HOU members." Gravity Simulation. Gravity Gravity is the weakest of the four fundamental forces. Gravity is responsible for the attraction of massive bodies. Gravitational. 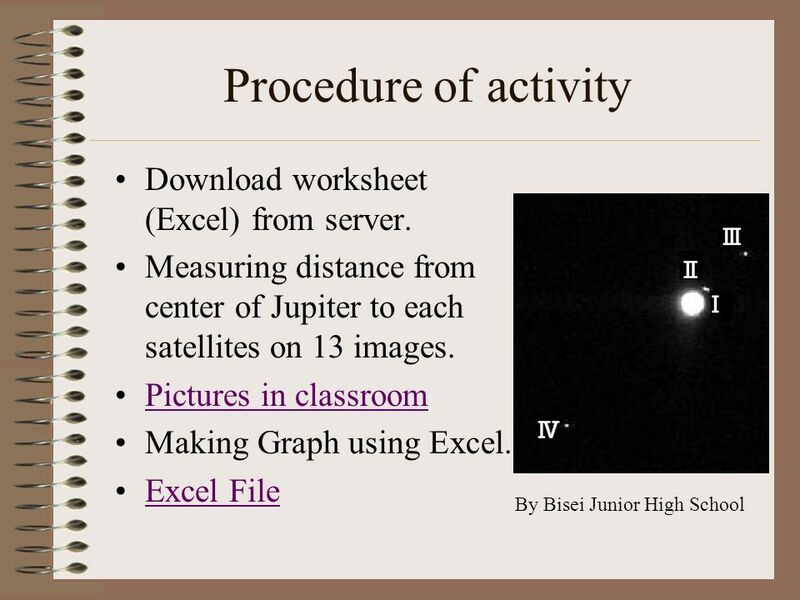 Microsoft Excel 2002 Microsoft Excel is a powerful spreadsheet program that helps you to organize data complete calculations make decisions graph data. 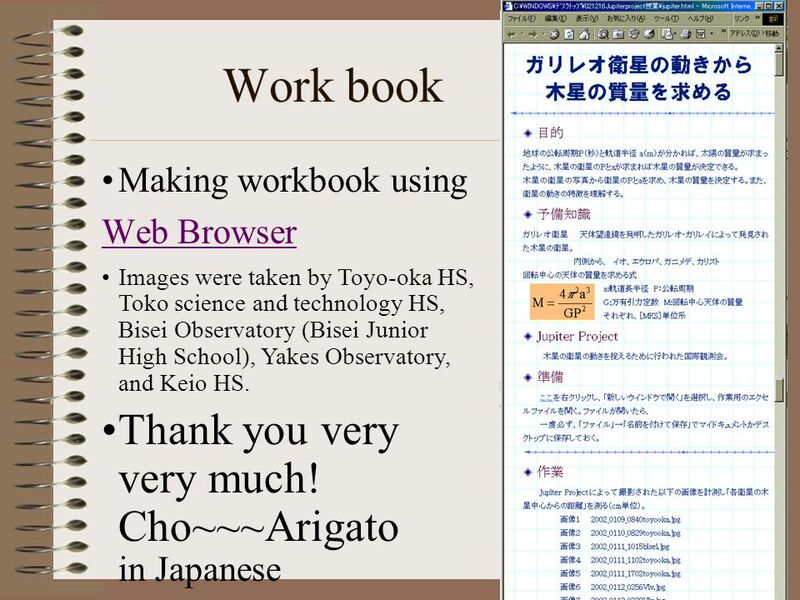 GHOU and the curriculum in Japan Matsumoto Naoki (Keio Senior High School) Handa Toshihiro (Institute of Astronomy, University of Tokyo) Hata Koji (Okayama. Downs 4 th Grade Science Solar System Review The Planets & Other Objects in Space. Warm-ups. Monday August 27 What do you want to learn about in science? In God We Trust Gravity By Mahan Narjabadifam. 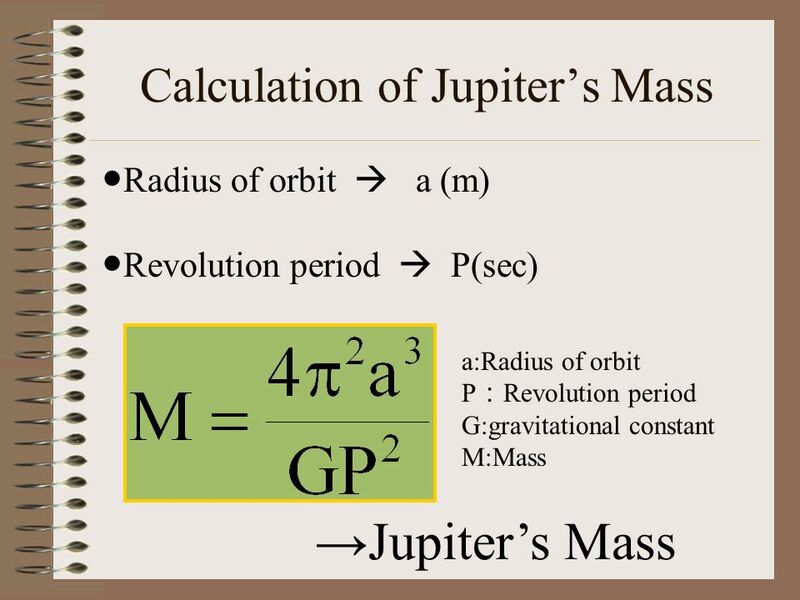 Newton’s Law of Universal Gravitation. 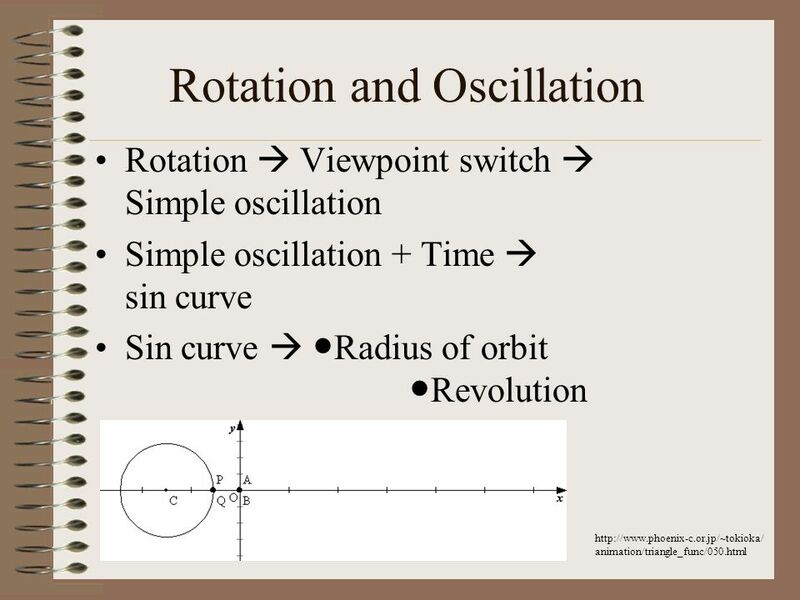  Any two objects exert a gravitational force of attraction on each other. The magnitude of the force is proportional.